Mother Nature continues to have different ideas than we do about spring. As each variety of flower, blooming shrubs and tress begins to bloom their hearts out, along comes a storm and the petals are on the ground. Lots of rain, high winds, and even some hail add to the "fun." In between storms, we run around cutting bouquets to enjoy in the house and try to keep up with mowing grass. Technically, Rudy is a yellow Lab. In reality, he is a white boy. Now he's a white boy with green feet! 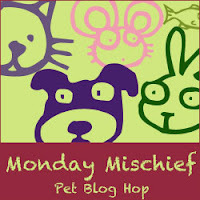 We have a winner in our book giveaway! 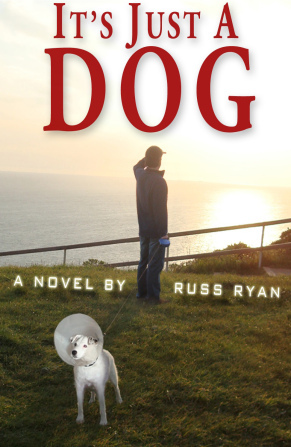 She was selected by Random.org as the winner of a paperback copy of It's Just A Dog by Russ Ryan. Larrielle, I need your shipping information within the next 24 hours or an alternate winner will be selected. Um, well, he's looking very Spring-ish, anyway! Plus, I bet he smells great! LOL those feet are very fashionable! Congrats to the winner. Hee-hee, we have the same thing with Torrey. Maybe Rudy can become a great gardener...green paws (green thumb)?!? Love the green feet. Maggie is black, so I don't get that, but she rolls on the lawn everyday - and the day the gardener is here, she gets clipping ALL over her...and they stick to her fur, so she's not easy to clean up. 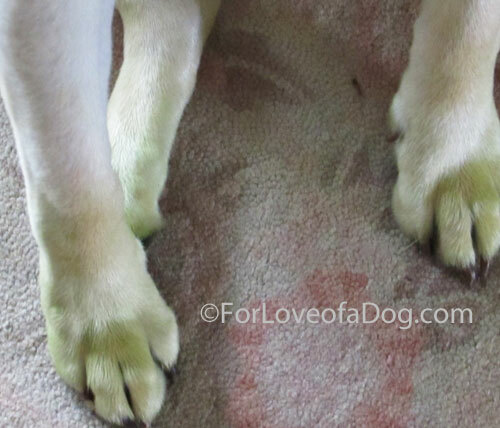 I'm used to seeing dusty dogs, but I've never seen a green dog! Aw Rudy are you sure you aren't a leprechaun? Oh my, that is your color!!! Bol! That is so cute! I love it when the daisies are out at our huge dog park, and Rita races through them - she comes back with gold feet and chest. HAHAHA love the green toes! Congrats to the book winner. Super cute green toes! 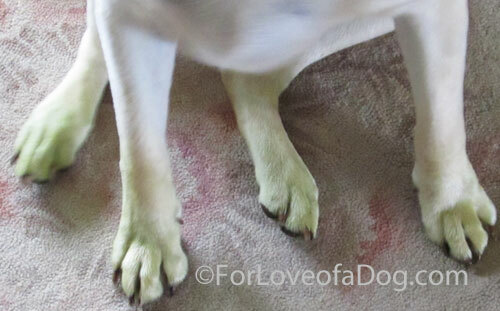 We have lots and lots of green feets around here!! BOL!